SightPlan is thrilled to announce Helen Deer has joined the SightPlan team. 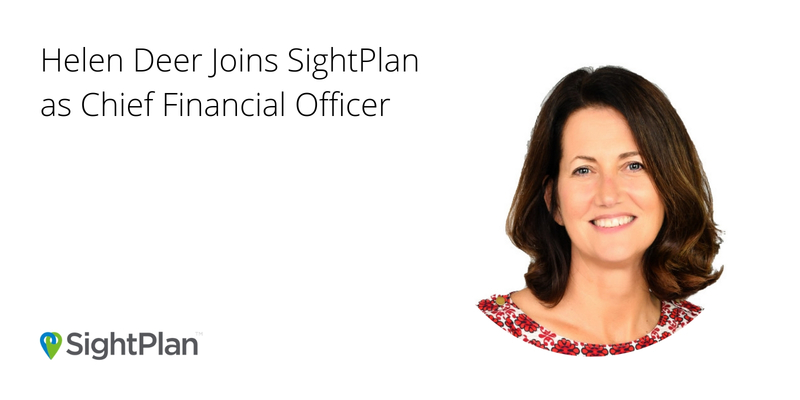 Helen joins SightPlan as Chief Financial Officer, supporting the rapid expansion of the company. Prior to joining SightPlan, Helen spent 11 years working with high-growth technology ventures in leadership roles, both in accounting and finance. Helen’s expertise lies in establishing and building out accounting and finance teams to best develop, monitor, and forecast financial and operational metrics. Helen was directly responsible for implementing the finance best practices that supported the $500M acquisition of Pentaho by Hitachi Data Systems in February 2015. “I feel incredibly fortunate to be working with a top-notch group of professionals. The SightPlan team’s passion and commitment to building great products that deliver solid value to customers is unparalleled and shines through in the solutions they provide,” said Deer. Helen is a Certified Public Accountant, earning her both her Bachelor’s and Master’s degrees from the University of South Florida.